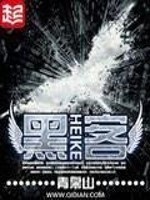 The world’s top level hacker, Shi Lei; due to him hacking the world`s top military powers during a joint exercise and attempting to steal information from them, ultimately leads him to get sold out by his own organization. This act eventually caused his own death by a missile bombardment. God was playing a joke on him and allowed him to return back to six years ago, the autumn season of when he was still at his university. Being given another chance, plus the fact that he retained his ability as one of the best in hacking technology, Shi Lei decided to change his life! During his previous life, he was only an assassin in the dark. Although such an existence made people afraid of him, he would have to always hide within the shadows. In his new life, not only does he want to be an assassin in the dark, he also wants to stand openly in the middle of the world stage. Creating a world-class super enterprise, he will single handy change the whole world!